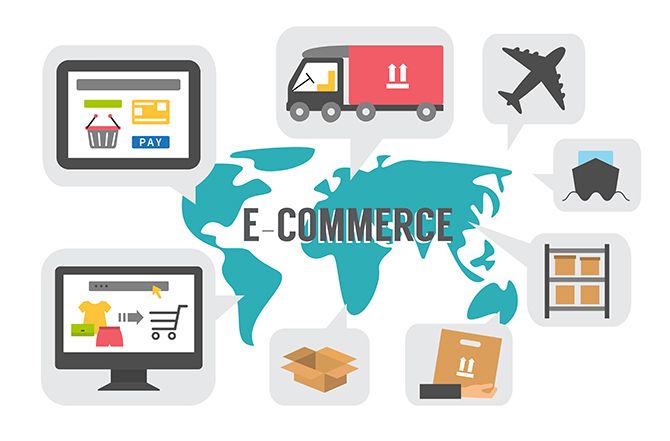 Home Industry E-commerce: What are the economies to watch in 2019? The year 2018 has seen growth in many markets, often helped by progressive changes in import/export regulation. It all means that it’s becoming easier to do business in more regions than ever before. Right now, the United States is still the biggest economy in the world, and New Zealand tops the list for ‘ease of doing business’. But which are the countries to watch? At DHL Express, we’ve crunched the numbers and can now share our guide to 13 of the world’s economies with the most potential for e-commerce. According to a World Bank report in 2018, growth in China remains strong. The cross-border e-commerce market in China is estimated to have brought in sales worth US$105bn last year, with the average cross-border shopper spending $848 each year, according to a 2018 report by Azoya and Frost & Sullivan. Another global trend is mobility – according to one state of e-commerce delivery consumer research report, 46% of shoppers say they’d change their delivery preferences after placing an order if the option were available. It’s a clear message – businesses should be making long-term plans for flexible last-mile delivery services. What’s going on in the rest of the world? The Australian cosmetics market is estimated to be worth AU$3.4bn (US$2.4bn), and imports satisfy 70% of this demand – natural products and premium products are increasingly popular. It is ranked number 14 out of 190 territories in the Doing Business report from the World Bank, because it has many time-saving processes in place that make starting a business (ranked seventh) and getting credit (ranked sixth) attractive prospects. As a member of the hotly-tipped BRICS group of economies, 41% of the Brazilian population shops online, with a 10.7% growth in the e-commerce market and a $19bn B2C e-commerce turnover. The state has reduced the time needed for documentary compliance for import/export, by enhancing its electronic data interchange system. So if your e-commerce operation isn’t set up to serve Brazil, you’re missing out. Forty-one percent of millennials in Hong Kong intend to buy fashion items online in the next two years, up from 28% in 2016. The Doing Business report ranked Hong Kong at number five. There’s a fast-growing French population and young people in Hong Kong are using the gym more than ever, so if your e-commerce business is relevant to these two areas, Hong Kong is the place to target. Sixty percent of online purchases in India happen during business hours, so retailers should capitalise by scheduling marketing and promotions accordingly, to reach this huge and fast-growing population of potential customers. One big cultural trend that informs many of the changes is the shrinking of the Indian family. With fewer children and less time spent in the family home, greater independence creates opportunity for enterprising e-commerce brands. As with much of the developed world, Indonesians are becoming more health-conscious than ever. They are also using the internet with greater enthusiasm with every passing year. While e-commerce sales currently account for only 5% of Indonesia’s total retail sales, this figure is expected to rise to the range of 17-30% in the next five years. Central government changes have made importing from Jakarta and Surabaya quicker by introducing an electronic single billing system, so there are more opportunities than ever for brands to export to Jakarta and beyond. The Communications Authority of Kenya and the Kenya National Bureau of Statistics reported huge potential and steady momentum for growth in e-commerce, thanks to increasing numbers of young people starting online businesses. Most of the younger generation find it much easier to do business online compared to brick-and-mortar enterprises, where huge financial outlay is required to set up the infrastructure. In fact, a recent study by IPSOS found that young people in countries such as Kenya are more optimistic about the future than many of their contemporaries in more developed nations. So if you’re exporting here, it’s wise to tailor your message accordingly. In Malaysia, importing and exporting is easier than before, thanks to the improved infrastructure, equipment and facilities installed at Port Klang. Total Malaysian e-commerce revenue is $1.31bn, and is expected to grow to $2.53bn by 2022. Electronics and media is currently the leading product category, accounting for $477.7m market share, followed by furniture and appliances, which generate $356.3m in sales. Home electronics are increasingly popular in the Netherlands, making up 23% of the online purchase market. The efficiency and speed of the country’s import/export processes led to it taking the number one spot for trading across borders according to the World Bank. And the country’s reputation for arts consumption and progressive culture shows no signs of decline, so it’s always worth targeting the Dutch if this is a relevant area for your brand. Import/export has been made easier in Singapore by improving infrastructure and electronic equipment at the port. A report by online saving platform Flipit says that three in five Singaporeans shop online, with market revenue per user reaching $1,022 last year, and the e-commerce market is projected to expand by 11.2% by 2021. Opportunities in many sectors are available, not least in the field of well-being. Stressed, overworked Singaporeans are looking to find contentment in their leisure periods, so if your brand can offer a moment of calm, this is a promising export territory. Ninety percent of South Koreans own a smartphone, with m-commerce sales continuing to grow at impressive rates. Incorporating responsive mobile platforms with user-friendly designs would help brands reach the most Korean shoppers. South Korea is known for having fast fulfilment rates, which means efficient delivery systems, express delivery – championed here at DHL Express – and wide distribution warehouse networks are basics for succeeding in the Korean market. A cultural trend that hard-working South Koreans are embracing is playfulness, as well as the more usual healthy pursuits. With children at school for as long as 14 hours a day, and adults focused on working harder than ever, if you make something that’s fun, the South Koreans might want it. According to data from IAB Spain, last year Spanish purchases could mostly be divided into fashion (65%), travel tickets (59%), consumer electronics (55%), other tickets (54%), and books and CDs (46%). The Doing Business report awarded Spain joint first place for ‘Trading across borders’ as it only takes one hour to complete documentary compliance. A cultural trend to watch here is a seeming backlash against the traditional life-prolonging Mediterranean diet and lifestyle. Younger Spaniards are even avoiding choices marketed as healthy, choosing such items as breakfast biscuits instead of fruit. If you’re in a food category that’s becoming unfashionable at home, perhaps Spain is where you should look for customers. The e-commerce purchasing population of the UAE is one of the youngest in the world. E-shoppers in the UAE have the highest per capita spend on luxury goods and are a top importer of Swiss watches, with Dubai alone importing one million per year. The UAE is ranked highly in the ease of doing business index, at number 21 (out of 190 territories). Although imports of such items are still high, the UAE is finally showing signs of moving away from luxuries and indulgences. Conspicuous consumption has given way to more value-based purchasing decisions, so it’s time to export to Dubai if your product offers lasting quality at a reasonable price.